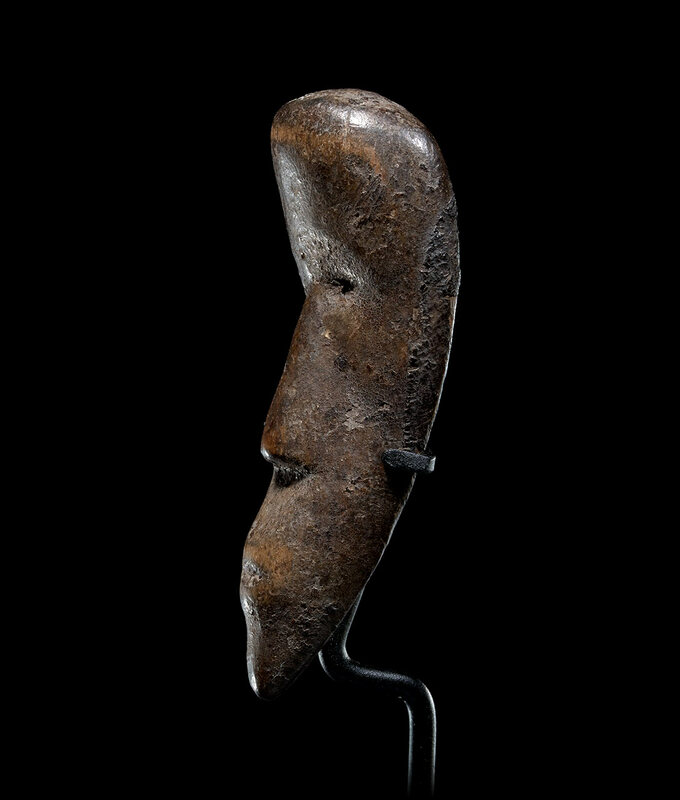 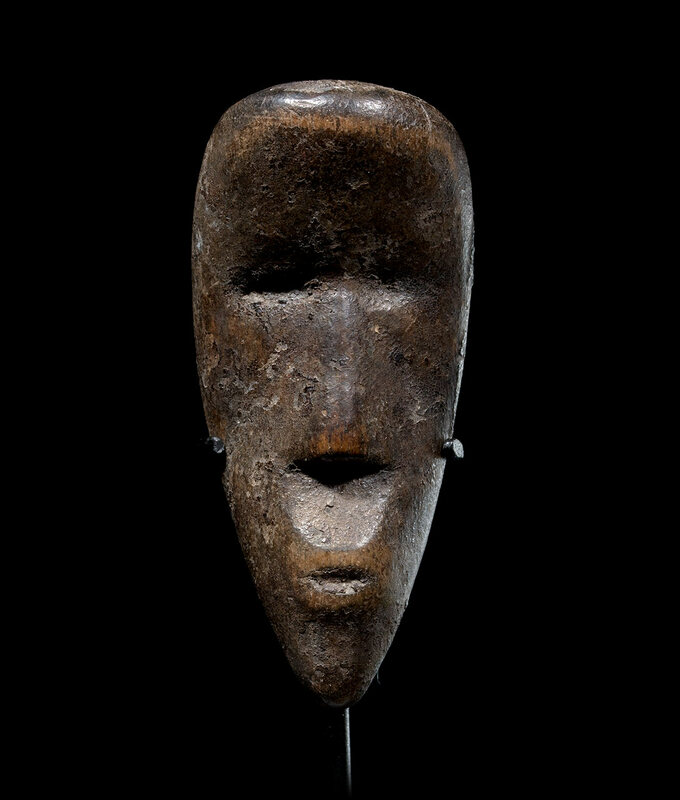 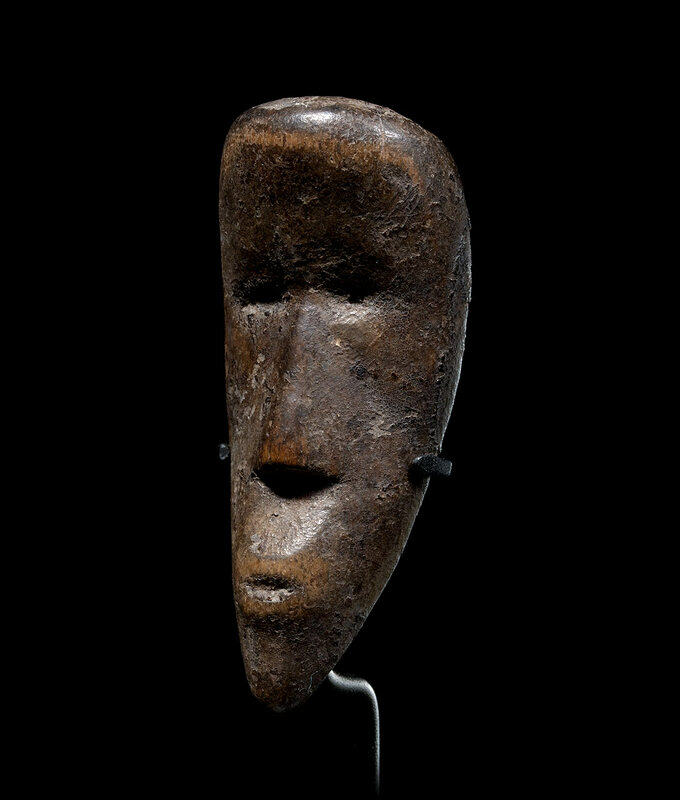 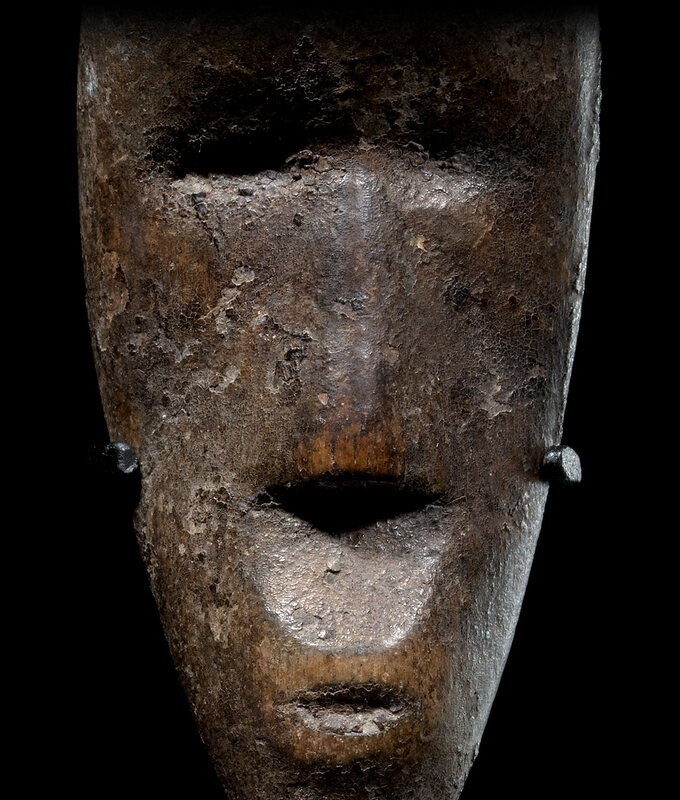 This miniature Dan mask is called a Ma Go, meaning « small head ». 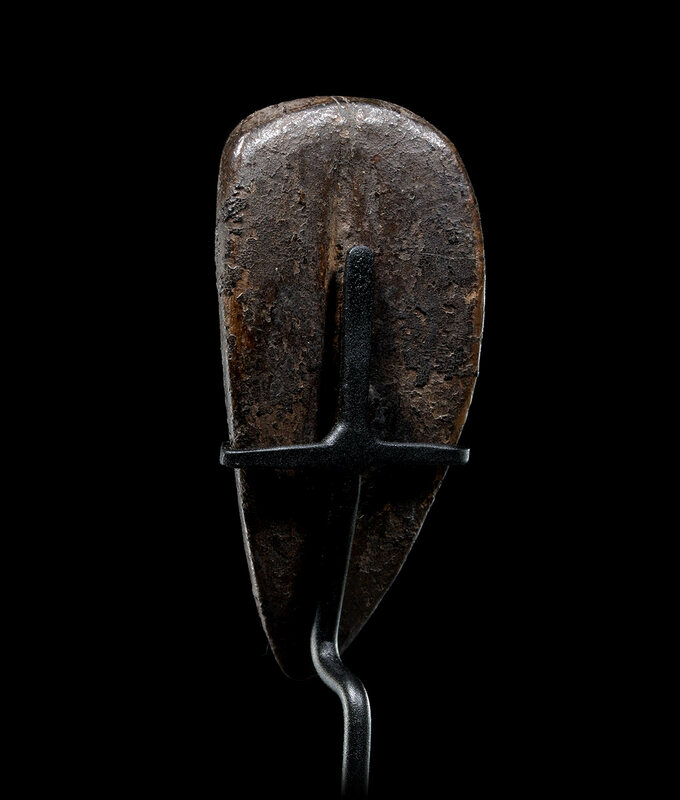 Designed to be a reproduction of a larger clan or family mask, it is an important means of identification for its owner during travels, hence the name « passport mask ». 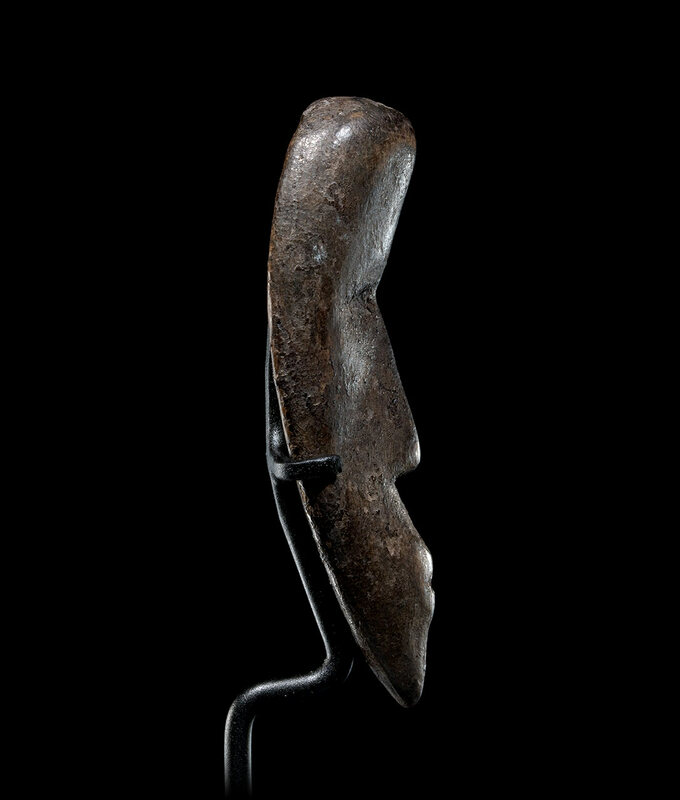 It was probably kept in a small piece of cloth, rubbed in oils and sacrificial matter which patinated its surface, sharing the force of the full-size mask to protect its bearer.